How to increase your spiritual connection, communicate with spirit guides and quicken your spiritual awakening. The rich and multidimensional universe of which we are a part, allows for a variety of life forms. You never walk alone ~ a silent, internal fervent thought cast into the ether connects you with your Spirit Helpers instantly. To me, ‘Spirit Helpers’ is an umbrella term for spirit guides, nature spirits, devas, angels, dragons, fae, ancestors, Star People, archangels, ascended masters (Khutumi, the Count of St. Germain, Jesus etc.) and animal allies, also called power animals or totems and familiars. That’s why I like using the term “Personal Interdimensional Support Team” because they are beings from other dimensions that interact with you. You may view dimensions as a series of different planes or parallel realities, depending on your belief system. Also dependent on your conceptual framework, is your understanding of how you interact with them. Spirit Helpers can be considered aspects of Self which you can commune with by journeying inward. Alternatively you may think of them as independent entities external to your existence. Either way we are all One and thus interconnected at the level of Source-energy so we are never wholly separate. > What Do Spirit Helpers Do? > Spirit Animal, Power Animal or Totem Animal? > What is a Familiar? What Do Spirit Helpers Do? Spirit guides (including guardian angels) choose to walk your path with you when you incarnate as an opportunity to further their own learning and evolution. They can lend support, counsel and protection if you ask for it. Most of the time Spirit Guides have incarnated on Earth but some people do have guides, such as Star People who have not had an Earth incarnation. Guardian Angels have not physically incarnated before. The other categories of Spirit Helpers choose to assist you when you ask if they feel aligned to your purpose via the task at hand. Some may hold soul bonds or contracts with you from previous incarnations and wish to assist you in service or as part of a shared purpose. From a shamanic perspective, ancestors are not limited to immediate blood relations that have transitioned from this plane to the next. Ancestors can also be beings from ancient times that you are linked to via your DNA, the collective unconscious or your soul group. 1.) Take a moment to pause and expand your energy to reach out and touch the fibres of the universe; before you behind you, to the right of you, to the left of you, above you and below you. 3.) You will recognise your allies and opportunities as they present themselves to you. Trust it when you receive it. Spirit Animal, Power Animal or Totem Animal? The rich and multidimensional universe of which we are a part, allows for a variety of life forms. In the English language we easily interchange the word “Spirit” as the fifth element with the essence or inspiration of something. So we use different names to differentiate between different types of spirits like angel, muse, elemental, archetype, god and goddess. Essentially a spirit (in the context of another life form) is a living blueprint or energy pattern, a sentient being in non-physical form. A spirit animal comes to you via repetitive messages such as seeing images of the same animal everywhere you seem to look or happening upon conversations about them. They are drawing your attention to show you how you may apply some of the characteristics and skills they are known for in dealing deal with particular situations. Spirit animals do not necessarily tell you what to do you, but they come to show you ways you can expand to further your progress. For example, ravens are associated with mysticism and cosmic forces. Delving into fertile darkness to access the realm of potential where the unreal is made real. It brings clarity and wisdom, with a promise to reveal what is currently hidden. You may not always like the animal spirit appearing as a messenger for you ~ creepy crawlies, snakes and spiders often incite anxiety. But all the more reason to peer into their world and see what you can learn from them… even if it’s just from the safe vantage of a book or an internet search! A power animal or totem is an animal spirit that you can deliberately evoke, for its particular characteristics and skills, to help you integrate those qualities within yourself during certain circumstances in your life. For example, if you need to go to court for a custody battle, evoking a mama bear would be appropriate. A power animal can be turned to in meditation or journaling to ask what its instinctive response would be, helping you reach a different perspective in decision-taking or in electing a guiding approach toward a particular project. For example, a jaguar embodies agility, confidence, focus and strength that come from impeccably centred execution. Energy is not wasted because s/he envisions her/his victory, biding time to pounce at the pristine moment. A golden jaguar is associated with solar power whereas a black jaguar is associated with lunar power. Animal guides, like spirit guides, are associated with your personality and soul mission providing you with support throughout your life. These are the power animals (or totems) you choose before incarnating to accompany you and support your mission on this plane at this time. They tend to stay with you throughout your life’s journey although one may prevail more at different stages on your path. The easiest way to identify your animal guides is to look at the animals you have always felt an affinity for and those that routinely pop up for you. Which animals tend to appear in your dreams or meditations? Or perhaps in your everyday life as art, décor or digital screensavers, you naturally choose to surround yourself with. Also consider the animals that have appeared repeatedly as family mascots, whereas familiars come and go connecting themselves to specific individuals. Chances are most of you have heard a story about a cat or a dog showing up at someone’s house, simply moving in and “adopting” them. Depending on where you live, it could even be a wildling that claims you as their guardian. These special companions tend to show up to help you weather a particular phase of your life, like getting through a separation, grief, illness or even sparking new adventures in consciousness as your awareness shifts. To clarify, a familiar is not the same as a totem. Familiars come and go throughout your life, while a totem is a Spirit Helper that you choose to incarnate with as part of your distinct energy signature. Specific totem animals can be called upon to utilise their unique characteristics at different times in your life for specific purposes. While Spirit Helpers can shift during your lifetime as you expand, the core remains the same. A familiar is usually (but not limited to) an animal that you are inexplicably drawn to and share a telepathic communication with. You may meet them and feel an immediate bond or they welcome themselves into your home and make it clear that they are staying. The way to identify your familiar is to notice who comes to sit close when you get ready for meditation, who pays a visit when you start doing something witchy, like getting your deck of cards out or sprucing up your altar and who comes to console you when you’re feeling low. What’s also interesting to note is that a familiar could also be a plant spirit, for example you may excel at growing one plant in particular or cook a lot with one type of herb or spice. You may even have a plant that always seems to begin growing wherever you live. The sixth chakra is located in the centre of your forehead. This is the centre where believing switches up to knowing. 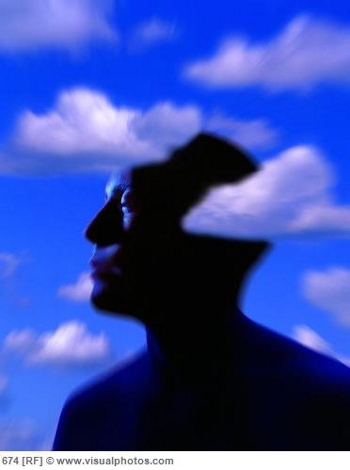 Imagination and dreaming (day and night) are linked to this centre. In order for your vision of yourself and where you are going to be sustainable as well as fulfilling, it has to truly resonate with who you are. When you attempt to force a vision into reality that is not congruent with your fundamental values and beliefs, pieces of it may string together at times but it won’t hold water. A balanced brow chakra helps you to make clear decisions, receive inspiration, access intuitive messages and see your way forward. When inspiration strikes it is a result of drawing in light into the third eye. Making unseen fears seen and clarity and truth known. If your brow chakra is imbalanced you may find yourself becoming easily carried away in your daydreams without aligning action with intention, and so they remain without taking material form. Choose a time where you will be undisturbed for a few minutes. Set up sacred space as you prefer and sit on a chair with the soles of your feet flat on the floor and the palms of your hands facing down, resting on top of your thighs. Take three deep breaths, as you inhale imagine a deep indigo entering your brow chakra. See it swirl in what feels like a cave hollow in the space behind your forehead. As it swirls, translucent silver moon-droplets scatter about the recess cleansing away any hindrances or self-impose barriers that no longer serve you. 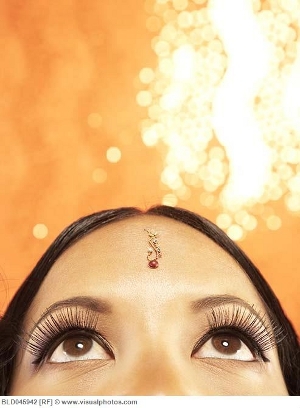 Pull the energy from your physical eyes back and place your awareness upward in your brow. You may feel a slight tingling or a pronounced buzzing sensation. “Look” through your third eye outward. See a vast inky night sky scattered with sparkling stars above you, gazing up you touch the expansion of the Milky Way. Gradually you notice the stars moving and aligning in a formation that reveals the infinity symbol. Trace this symbol from left to right three times with your sight, linking both hemispheres of your brain. Imagine a mesmerising indigo ocean below you, reflecting the glistening infinity symbol from the sky. Feel the ocean’s vast mysterious depth. Draw the beauty of this scene into your body. When you are ready let the vision swirl together, merging sea and sky, and draw the energy in through your brow chakra down into your body and root it deeply in the earth beneath your feet. Now find yourself shape shifting into a royal blue dragon, take flight and soar over the sites below. What do you see? Time does not exist here; there are no boundaries or separation in this place. What wisdom is there in the scene playing out below? Land on a high mountaintop, still in your dragon form and reaching out with your left claw before you, watch as a misty electric blue orb bursts forth from the centre of your claw and glows brightly. It has a hint of fragrance about it, similar to the combination of fresh lavender and rich damp soil. Bring the glowing orb toward your brow and place it in the swirling chakra, knowing that you can access this seeing power whenever you choose to use it. Any residual fog left lifts. Bring your awareness back into your current physical form. You can repeat this ritual as often as you feel necessary. Several students from the Simple Daily Practise master class have asked for further guidance on how to connect with their Spirit Helpers, in particular what my personal approach is. Naturally we are never fully disconnected on a psychic level, when I refer to connecting it’s more of a case of tuning in deliberately when we want to. I am often struck by the style beginners take when they first begin to call on their Spirit Helpers. Many want to put on their best behaviour so as not to upset or offend anyone. There is no hierarchical divide between you and your Spirit Helpers and they certainly don’t require your worship before they will be of service to you. You don’t need to grovel or prove worthiness. Neither do you need to reserve connecting with them only in a formal manner to ask for things. You are connecting from the space of an equal (because you are)! We all stem from the same Source. Spirit is essentially just life force, as are you and I. Step 1 is to relax, you are all friends already. Pretend you are going to make a phone call or fire off a quick text message to someone you know well, has your best interests at heart and who is happy to help but won’t meddle without your consent. Just flip through the phonebook of your mind and initiate the heart connection. Step 2 is to expect a reply. Just as you would anticipate someone you are phoning would pick up or type a text message back. You don’t have to grip the phone tightly and stare and the screen in anticipation. Set it down, within hearing range and go about your day. Sometimes a response is immediate, sometimes it comes later. Step 3 is to cultivate a personal relationship with your Spirit Helpers, natter to them while you work in the garden, do Yoga, clean the house. Just as you would a good friend, sharing hopes and concerns, triumphs and thanks. This establishes a steady flow of answers that find their way to you before you realise you were even asking! Step 4 is to follow the input you ask of them. Even when you can’t piece the logic of it together, for example, they could show you an image of a coffee mug repeatedly when you ask about a certain job you applied for. Then when you go over to the mug you see an advert for an even better position in the paper on the table. Trust that they have a bigger perspective than you do and are a little better informed as to how the threads will be weaving together. Create a “Spirit Helper Solution Box”, write your question or note about the issue you want resolved on a piece of paper and “post” it to your personal Interdimensional Support Team. You can do this along similar lines by lighting a candle or burning incense on your altar and simply asking. As with anything new, it may take some practice and perseverance but on most occasions you will receive at least one of these signs or one of your own that makes sense to you on your first attempt. But please don’t be discouraged if you don’t! When I was a Witchlet starting out at getting messages through shamanic journeying,I got very frustrated that I couldn’t hear what the spirit was saying. Finally one day it occurred to me that I was trying to hear with my ears instead of telepathically. Now I know to make eye contact and I hear everything through their eyes straight into my mind. When you visit the gym for the first time you don’t start lifting the big weights, or run full speed on the treadmill to tell yourself you failed. When you start your first day at a new job you require some orientation before you can get ahead on your own. Similarly with any intuitive or psychic skills you ease into them gradually, orienting yourself and getting familiar with new territory before you run! Still, small voice within that is distinct from your own (Test: question it while it’s talking. You can’t question and talk both at the same time, so it’s not just you then). A ding of realisation between your ears! You can set your own signal for knowing when spirit is communicating with you. Just set the intention and state what the signal will be. For example, you could ask to receive a whiff of a certain fragrance that is not something you already have a lot around you of. Or you could ask for the tip of your nose to prickle when you have established a line of communication. If you use a pendulum or dowsing rods be clear on what is a definite “no”, “yes”, “maybe” or “no comment”. 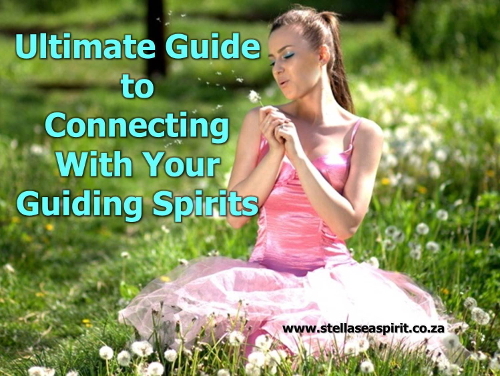 You can also set a handshake code between you and your Spirit Helpers to identify between the different types of Spirit forms connecting with you. For example, when an ancestral spirit arrives to communicate with me I feel cold tingling in my legs. When an angelic, elemental or galactic arrive to communicate with me I feel a warm tingling on the side of my head. When I am doing readings and there is a particular chakra where my client has a block I will feel a burning sensation in that area. For this exercise you can set aside anywhere from 20 minutes to an hour depending on your schedule to enter an undisturbed, relaxed state. Sit on a chair with your feet flat on the floor or lie down on your back, have your spine straight and your palms facing upward either in your lap or by your sides. Ground, centre and shield your energy so you feel safe and comfortable. 1.) Begin by imagining a warm glow in your hands and upon your brow, trickling throughout your entire body. Set the intention to meet one of your current Spirit Helpers for this phase of your journey now. You can declare it either in your mind or aloud. 2.) In this meditative state, bring your attention to a favourite sacred spot in your mind’s eye, this could be a landscape you carve out in your mind’s eye, a temple, or you could have a retreat at the bottom of your garden beneath some large shady trees. Perhaps it’s in a cosy log cabin in front of a fireplace. 3.) Imagine an image of yourself in that sacred spot, placing yourself in the vision. Reaffirm your intention to meet one current spirit helper and notice how the ambience of the environment shifts in their approaching presence. 4.) Do you observe any signs? Which senses are responding strongest for you? Check through each one; sound, scent, sight, sensation, hearing or perhaps you simply have a firm sense of knowing who is stepping forth. 5.) Bring your attention back to your sacred spot, do you see your Spirit Helper there? If so, greet them and begin a conversation, asking any questions you may have, receiving any energy gifts they may wish to give you. 6.) If you can’t see them, do you feel a presence or see streams of colourful light? Know that you will experience exactly what is appropriate for you at this time. Are you being spoken to telepathically or are images being beamed toward you instead? 7.) Take as much time as you need, you will sense when the exchange is complete. Then follow through with thanks for the meeting and part ways “until next time”. When you return your consciousness fully into your body, wiggle your fingers and toes and have something to eat and drink to ground your energy again. Write down all the details you can remember from your exchange, date it in your journal entry and as new insights and developments take form add them to your original notes. If your Spirit Helper appeared in a non-human form, learn more about the particular “group” they are a part of. Read up on them in various sources from different cultures and times whether angelic, galactic, elemental, animal, mythological creature, plant spirit etc. Try this just before sleep to prompt receiving dreamtime information about them and to stimulate lucid dreaming experiences with them. You can repeat this exercise as often as you like. Sometimes when a loved one passes through the veil there are still things we may have wanted to say, thoughts and feelings we feel need to be expressed and some kind of closure sought as part of the grieving process. Perhaps you were unable to attend their memorial service or spend time with them shortly before they passed and you want to find your own unique way to say goodbye to the person you knew or honour what they meant to you in your life. Here is some advice I gave someone recently, death is not a final end. It is a loss of tangibility with your loved one in that their physical presence of body and personality will no longer be involved in your life but their spirit is eternal and cannot fully cease to exist. It’s a lot like they have just gone to another room (dimension) which you just don’t have constant direct access to right now. But it doesn’t mean you can’t send them an etheric hug or email or call them when you wish to. If you have access to an item of jewellery such as a ring, you can hold the item and connect with their energy. The reason why this works is that the gold and stones hold your loved one’s vibrational imprint within their molecules ~ much like the flash drive you store your digital data on. All the memories and moments of their life that they were wearing the item are held in it. If you don’t have access to jewellery you can opt for a favourite book they used to read, or a piece of furniture that they spent many hours using such as a favourite armchair or dressing mirror and spend time with it. If you aren’t able to handle a physical object, you can write your deceased loved one a letter, as if you were going to mail it to them, in which you impart your thoughts and feelings and anything else you feel needs to be communicated. Then when you feel you are done, instead of sealing it in an envelope, burn it and scatter the ashes or bury the letter outside in the ground to disintegrate. Before bed, think about your deceased loved one and imagine a scene in your mind’s eye where you see yourself standing in front of them and making a heartfelt connection. Tell them that if they have a message for you or just wish to visit you they may do so in your dream state in a very clear way so that you will know it was them or to deliver a clear message so you recognise and understand exactly what it is they want to say to you. Then go to sleep with the intention that you will awaken rested and refreshed and remember everything you need to know upon waking. Put no difference into your tone; wear no forced air of solemnity or sorrow. ~ Henry Scott Holland, Oxford Professor of Divinity. I am the diamond glints in the snow. Of quiet birds, in circled flight. Something my clients and subscribers frequently have difficulty with is the ability to distinguish between what within them is arising from ego-doubt or actual intuitive caution about a detour that is in their best interests. The first thing when you hear the doubt alarm sound is to tap into whether the message is loving or fearful? Is it a worrisome or threatening for example, “what if this doesn’t work out” or any similar worst case scenario that begins to play out in your mind. If you think back to when you last got into a sticky situation… there were likely red flags you chose not to see because like a wilful child you were insisting on “I want” refusing to entertain the better options available to you, because you thought that was the be all and end all. Ask yourself what is the underlying feeling? 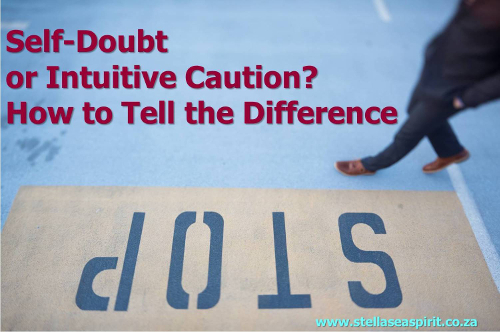 Intuitive caution is loving and neutrally helpful as in a “use it/don’t use it − the choice is yours” kind of tone whereas doubt energy feels draining and restrictive. 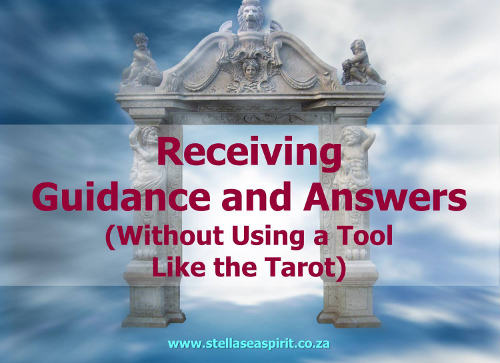 A subscriber asked a brilliant question about how to access your personal power to find answers about what to do next to reach your goals without using a tool like the Tarot (or any other divination system). Affirm something along the lines of, “all my questions are answered, all my needs are met for I am whole”. Follow this by asking one specific question about your next step with regard to a particular project or situation. Let it expand to about 10 times the starting size and then let it float into the ether to be returned to you with a message at the appropriate time. As you breathe out sense this energy rippling down through your body like a wave flowing out from your feet. On your next inhalation become aware of a warm radiating sensation in your sacral chakra (about 5 centimetres or 2 inches below your naval). Sending it out into the world to find answers for you, set up favourable connections or seek out solutions related to whatever is foremost on your mind right now. You can ask that these be revealed to you at the appropriate time during your dream state or that you easily recognise and understand the answers as they present in the days, weeks and months to come. Remember that answers will find you in all sorts of ways, so remain open to synchronicity in all its forms. I am often asked why bad things happen to good people. People become critically ill, relationships fall apart, money vanishes, loved ones transition, accidents happen and employment gets terminated. First off, you determine through your perception what is good or bad. In truth it just is. The emotional experience that arises is what holds value to your soul, not the actual details of the experience which you go through. Walking the Earth plane, learning to fuse spirit and matter, is ultimately about transcendence (to be in this world not of it). It’s about how you choose to respond to the cards dealt, exercising your own accountability. While it may seem like everything is going haywire on planet Earth it is important to remember that as the collective consciousness shifts into a higher vibration all the old programming and structures built by those who don’t have the collectives’ best interests at heart are collapsing. That is largely what you see going on around you now. The old must be removed in order to make way for the new and better to take form. Earthquakes, floods, fires, volcanic eruptions and various other extremes are all indicators of the energy shifts as they anchor from consciousness into the physical. Carl Jung said, “a very bright light casts a very dark shadow”. As the tide of humankind on Earth turns to a higher natural state of being; in love, support, unity and peace, this light accentuates the contrast of the shadow. Despite what media would rather have you believe; that everything is going to hell in a handbasket and you must hand over all your rights to those who don’t have your best interests at heart in order for them to keep you “safe” from what is an illusion to start with. Mainstream media verbiage is designed to lead you into feeling helpless, shame or even loathing which fuels more instances to match! Notice the headlines focus on shock, horror, panic and so on. By keeping you in a state of fear or any other lower vibration they can controlthe masses (who by and large want peace, tolerance and harmony) more easily because when you are responding from a place of fear you can’t hear your own soul/Source guidance and wisdom since simply because you aren’t tuned into that frequency. It’s like a “signal scrambler” that an elite minority have been running for centuries with lies and corruption and the buck stops here, with us today and every successive day hereafter. That is why you are and what you came here to do and witness at this time. You may have been sleeping until now but subconsciously anchoring in this higher vibratory energy. You may have been awake since the 1960’s. It doesn’t matter. You may be a cook, cleaner, chief bottle washer or an aerospace engineer. It matters not. Your life purpose and true path is being here at this time. Your light is valuable. 1. Detach from doom and gloom media completely, don’t watch the news or read the papers (or their online versions). Unsubscribe from any emails, blogs or Facebook pages or friends etc. that don’t carry beneficial messages. 2. Do your best to eat whole foods (not processed) and as organic as possible (no pesticides, growth hormones etc). Performing a food blessing 3-5 times a day depending on your dietary habits serves body, mind and soul. 3. Don’t caffeinate up to simply get through your day, sip and enjoy your beverage of choice as a means of setting the tone for the day you look forward to consciously experiencing. 4. You don’t need a partner who will juice detox and chant with you, an elaborate altar, an entire meditation room or expensive esoteric tools ~ just breathe like a witch. 5. Look for what is going right in the world instead of placing your awareness on what is “wrong”. Whatever you judge will be more prominent and also where your attention goes energy flows. What do you choose to fuel? Read, watch or listen to uplifting information only. 6. A daily segment of quiet time to listen to soul/spirit will help greatly in returning to a state of grounded calm amidst the “storm” more frequently. Practice discernment in all things. 7. Find a way to feel like you are doing something beneficial for the areas affected by crisis or devastation by contributing constructive energy. Lastly and most importantly, look within. Don’t let the external illusion dictate how you feel and what you do. Listen to your core and heart for guidance. Your version of reality is the one you participate in, entertain and occupy. Choose where you send your energy and what you will allow into your space. Perspective. It changes the level at which you experience anything. Imagine, 7 billion people around the globe emancipated from the distraction-trance of physical survival? Instead of being placed in situations created to divide and conquer like war, conflict, fear and “us versus them” mentality… What if just 10% (700 million people) were free to focus on love, harmony, unity through seeing ourselves in others. What would a world like that look like? And how would it evolve? The more you look for evidence of endings the more you will find. The more you look for evidence of beginnings the more you will find.